Call The Midwife series 3 DVD from DVDLand. 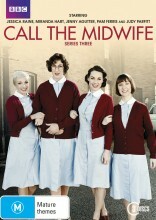 This is the complete season 3 of Call The Midwife and includes the Christmas Special. Your favorite midwives return for a new season of BBC s immensely absorbing and popular drama, set in poverty-ridden East London in the late 1950s. With Nonnatus House scheduled for demolition, Jenny (Jessica Raine), Chummy (Miranda Hart) and Sister Julienne (Jenny Agutter) search for a new location nearby, while Jennys relationship with Alec continues to blossom. But an outbreak of polio affects the nurses and nuns more than they could have imagined. Hop on a bicycle and share sadness and joy, tears and humor, struggle and survival in this award-winning drama, based on the best-selling memoirs of former nurse Jennifer Worth. 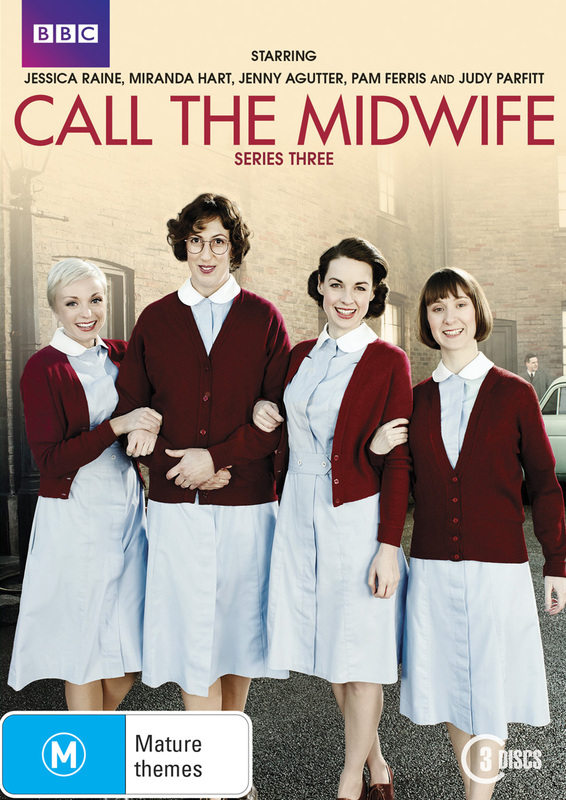 Click the button below to add the CALL THE MIDWIFE - COMPLETE SERIES 3 to your wish list.